Can you detect a low moaning sound coming from Nevada? Yes, it`s that time of year again. Technology journalists have descended on Las Vegas for CES and are complaining bitterly about the cost of hotels, the queues for taxis, and the sheer volume of silly new products - everything from an internet-of-things cat toilet to a crypto-currency-mining piggy bank. Yet for all the whingeing - and I`m an enthusiastic participant - we know that CES provides an essential guide to what`s hot and what`s not in technology. 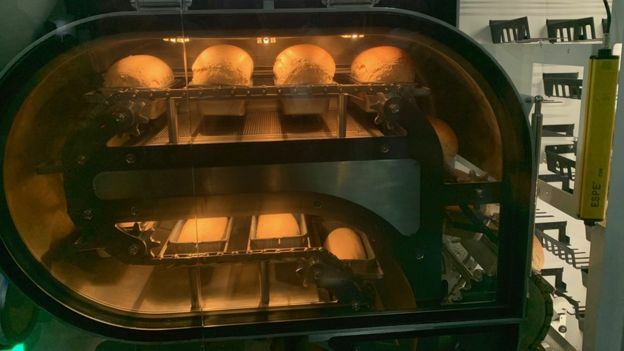 If my first few hours here are anything to go by this year`s show will be dominated by smart home devices, AI, autonomous and connected cars - and the question of how big a role China should be allowed to play in shaping our technology future. My very first press conference featured just about all of those themes. And Byton, the electric car-maker backed by Chinese investors with deep pockets, seemed determined to play Buzzword Bingo. 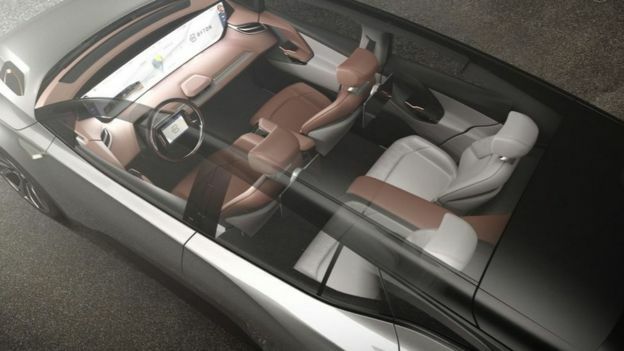 Showing off the M-Byte, a car with a touchscreen tablet embedded in the steering wheel, Byton executives told us this was going to be the most important device in our lives, it was going to use AI to transform every journey, it would leverage an "open-ended flexible architecture" and it would have level 3 autonomy built in. Roughly translated, this means they are building a vehicle with some nifty features that will be able to drive itself a lot of the time, while keeping its occupants informed and entertained in traffic jams. The cynic in me wonders why they could not have said that in plain English - and why they are boasting about level 3 autonomy when much of the automotive world now thinks that is a dangerous middle ground where neither the car nor the driver is in complete control. But then I marvel at a company born just a couple of years ago having the ambition - and the cash - to believe it can deliver a world-beating electric car by the end of 2019. This show will have more Chinese exhibitors than ever, though the trade tensions with the US will cast a shadow, and one of the biggest players Huawei seems determined to keep a low profile. With the company viewed with deep suspicion by the US, its executives were keen to promote a new notebook computer when we met them, less eager to talk about the politics of marketing a brand American consumers have been told not to trust. 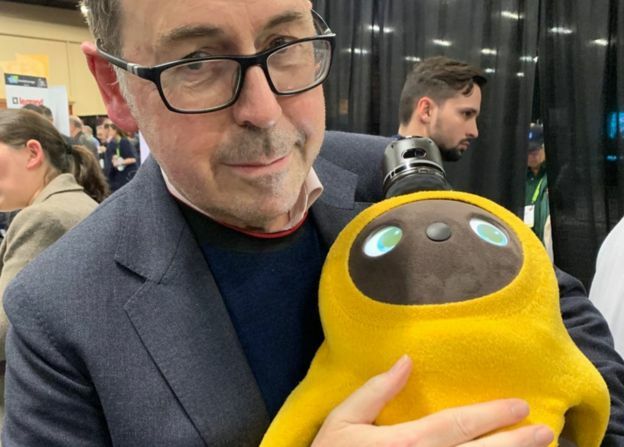 Next stop was CES Unveiled, a bun fight where dozens of tech companies vie to gain the attention of journalists two days before the show opens. There were Japanese robots without any practical purpose except to serve as cuddly pets, there was a French bathroom mirror that could spot when you appeared in front of it looking rough and give you a stern talking to, there was an American mini bread factory that took flour, yeast and water and turned out finished loaves 90 minutes later. But what caught my eye was a simple piece of wood, something that at first looked as though it had wandered in from Ikea. 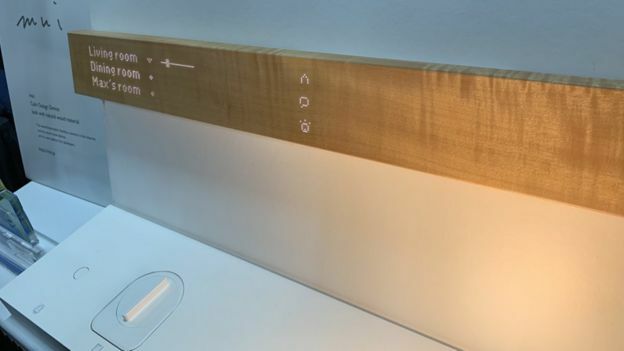 The Mui interactive plank is, however, connected to the internet and acts as an interface for your connected devices, allowing you to control the music and the lights or find out the weather forecast. The idea is that it is a "calm" device allowing the technology to merge into the background most of the time - though a $679 (£533) price tag may receive a less-than-placid response from most householders. Our final stop was at a villa on the outskirts of Las Vegas, once apparently occupied by boxer Mike Tyson. A Rolls Royce and a yellow Lamborghini were on the drive while inside, a diverse crowd was entertained by live music and various virtual reality experiences. 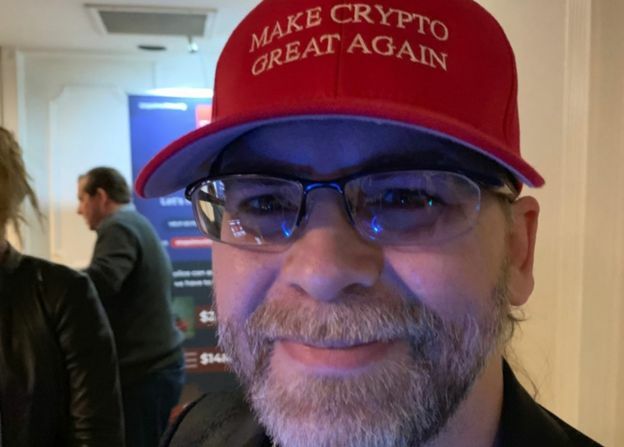 This was the CoinAgenda Showcase, apparently designed to promote crypto-currencies and the blockchain. I tried my usual trick of asking people to explain blockchain but apart from being told that it was going to change the world in various undefined ways I emerged none the wiser. One of them did, however, tell me that the Lamborghini was his, the fruits of an early investment in Bitcoin. But with the value of crypto-currencies plunging and blockchain projects failing so far to deliver on the hype, their promoters may struggle to make their voices heard above the hubbub of CES.